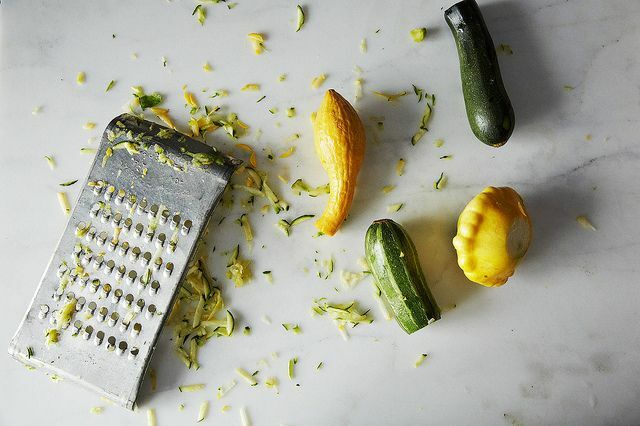 Today: A simple preparation turns zucchini into the best version of itself: butter. 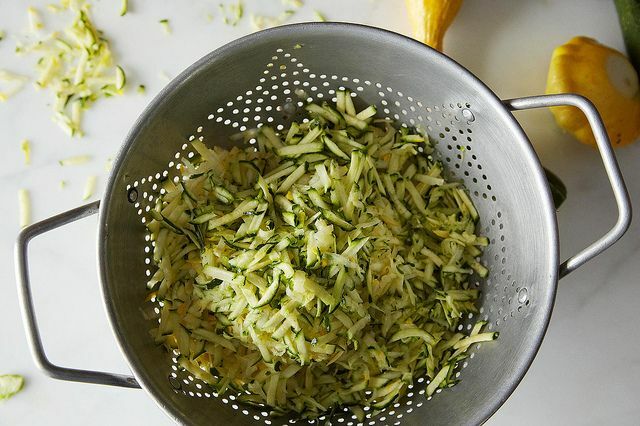 We've turned bananas into ice cream, white chocolate into caramel, cauliflower into steak -- for our next bit of alchemy: zucchini will become butter! Or at least convincingly butter-like. Zucchini butter is simpler than you'd ever think, and tastes richer than any vegetable has a right to. The technique comes via The Kitchn from a caterer in Los Angeles named Jennie Cook (also known, incidentally, for her Funny Cake). 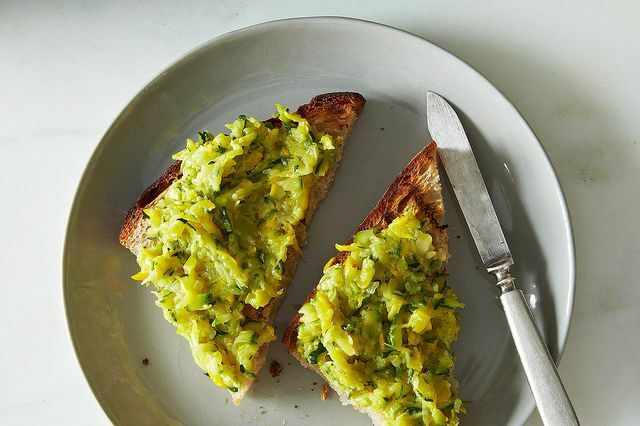 It's barely a recipe at all, but a concept you'll find yourself returning to as your counter keeps piling up with summer squash. I'm sharing it with you now, while squash is still new and you still find little crooknecks and pattypans and their cousins with equally cute names irresistible. 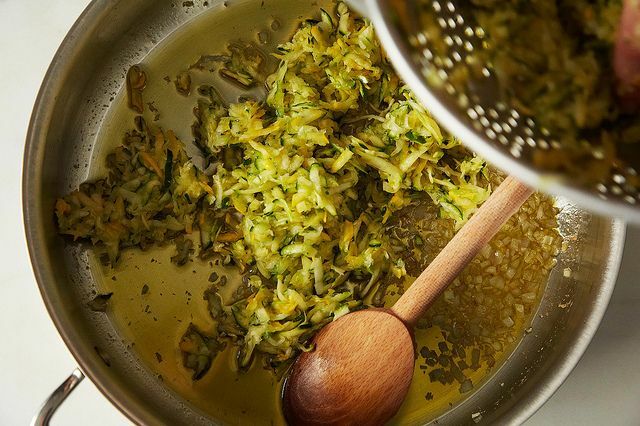 Here's how you make butter out of squash: Take a little olive oil or butter (or both), melt in some minced shallot or garlic (or both), then dump in a lot of grated squash. You can pre-salt and wring it out it if you want to, but it's really not necessary. 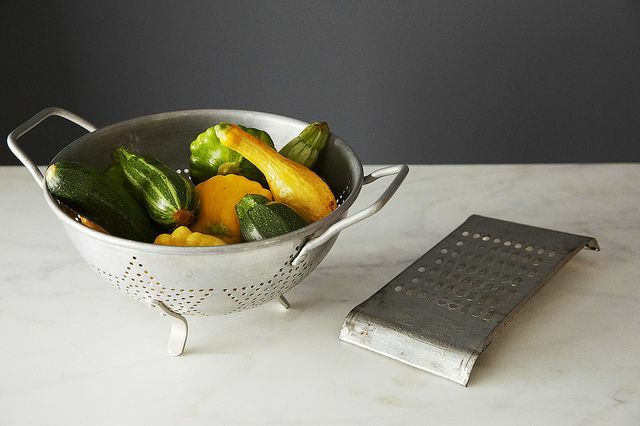 More: Another place to put grated summer squash? In Summer Weekend Pasta, with corn and basil. If it sticks to the bottom of the pan, that's actually great. You can keep deglazing with a little water, scraping up the stuck-on bits as you splash it in. 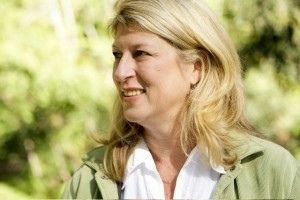 You might end up with something a bit more caramelly brown than what you see in the photos here, and it will rock your world. How to use it? Spread it on toast in place of actual butter. Cake a thick layer in a sandwich with salted tomatoes or soft cheese. Sauce a grilled pizza. Consider it a side dish. Or just eat a big heap of it, right out of the pan, like we did. This is delicious! I can’t believe I’ve been carrying on to my husband about this simple recipe for two days now. I used shallots, 1 Tbs. butter and the rest olive oil, and served it over pasta with fresh cherry tomatoes and parmesan cheese. Just made this, delicious by itself, but even better when made into pesto! 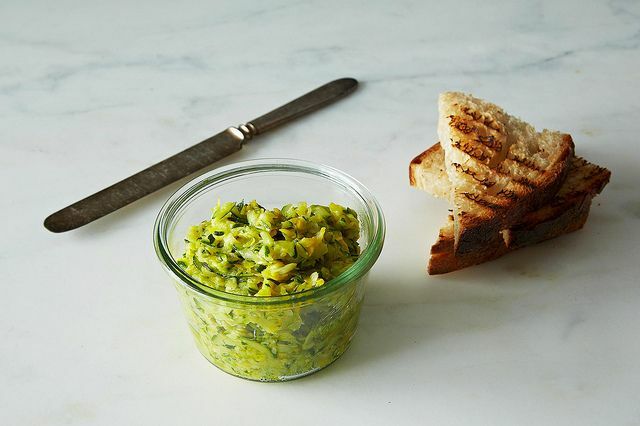 Blend it together to make it smoother with plenty of basil, some nutritional yeast (or cheese) and some pine nuts, and it's a gorgeous vegan pesto. Thanks for the reminder about this! Loved it last year but had forgotten about it. Any tips on how to reheat? I want to make it ahead of time and spread it on baked chicken. Fresh is always best! 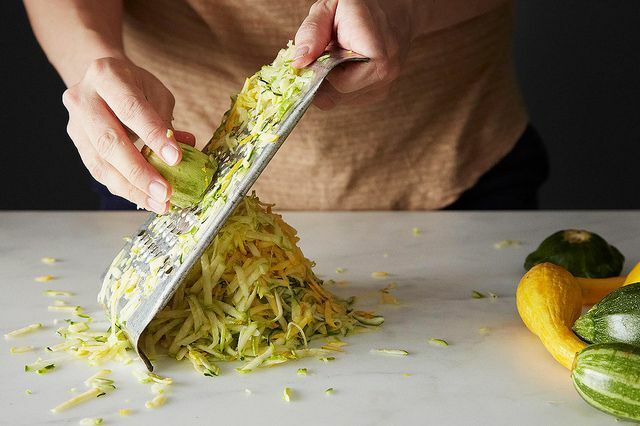 Given the abundance of zucchini why would you want to preserve it? Has anyone tried canning this? I am just about to make zucchini relish and can it, and would like to try this insetad. This is really delicious! I also added smoked sea salt to it with fantastic results. Does anybody know if you can freeze this successfully? Hi there! I've been looking around and this website says it freezes for up to a year: http://www.mrswages.com/page/Zucchini_Butter.aspx?nt=619. I'm going to put it in jars and put it next to my freezer jam! This is so good! I've been telling many people about it and is always a hit! Okay, there is one issue with this recipe. My husband wants to eat it by the bucket! Seriously delicious and simple. Thanks! Discovered how great this recipe tastes the year we were inundated with giant zucs although never called it zucchini butter before. Thanks for reminding me of just how much I loved it! I love doing this with leeks in winter, but zucc butter sounds freaking awesome! I use this mush to make a tasty omelette when I don't have time to make a "real dinner". This looks amazing. This is definitely going to be on the menu for the next dinner party, or drinks night! Can't wait to try it. Just finished making this and it is delicious. I recommend letting it scorch a bit on the bottom. Those browned bits make it taste all the better.